I have something to admit to you all. I am NOT a morning person at all. My alarm is always set around 15 minutes early because I have to lay there for about 15 minutes awake before my feet hit the floor. There is an exception to that though… I’ve learned the smell of hot coffee in the morning wakes me up faster than my alarm! I love coffee and don’t go without it very often. 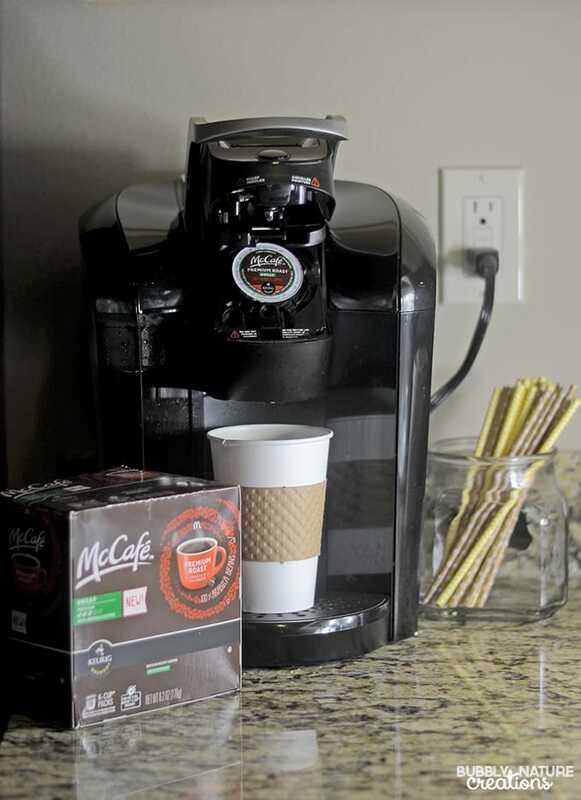 Since discovering the McCafé coffee pods and premium bags I have been using them for my morning cup! 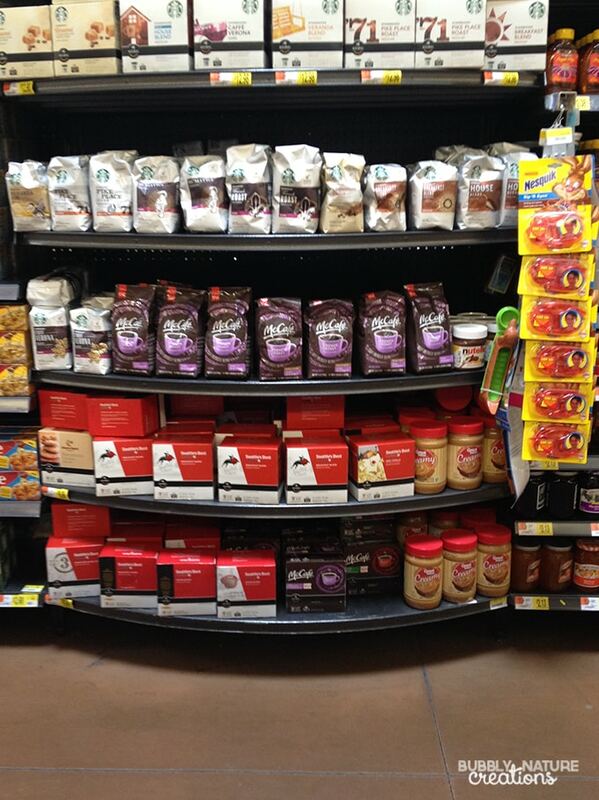 I found the McCafé coffee at Walmart while shopping there the other day. I don’t think you can miss it with the beautiful images on the bags and boxes of pods! 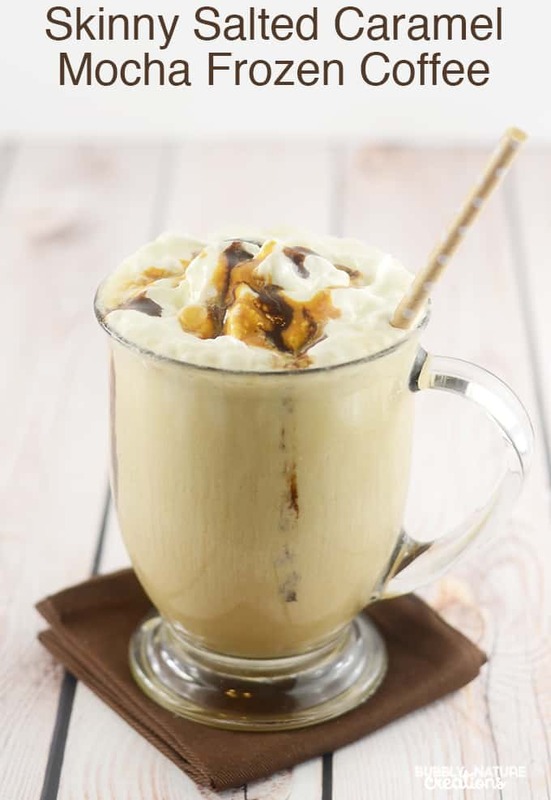 McCafé coffee is made with 100% Arabica coffee beans and tastes amazing! You can really tell that it has great quality and there are 8 flavors to choose from. 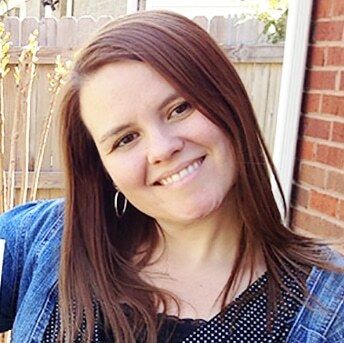 For making my coffee at home I like to buy “to-go” cups because I need them when we are trying to rush out the door! 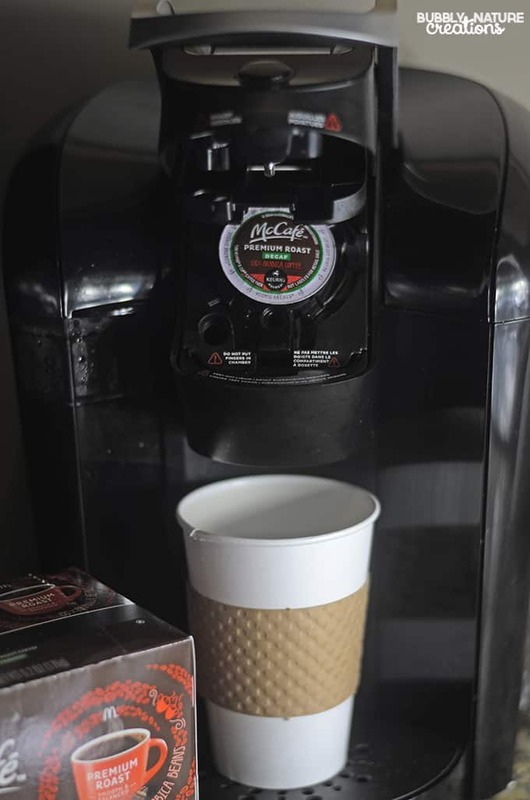 With 4 kids it can be hectic to get everyone ready and with theMcCafé pods and to-go cups I just drink my coffee on the go! Love it! 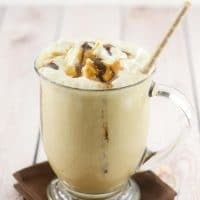 I also love to use theMcCafé coffee in my fancier coffee creations like this Skinny Salted Caramel Mocha Frozen Coffee drink. It is SO good and really hits the spot on warmer days. 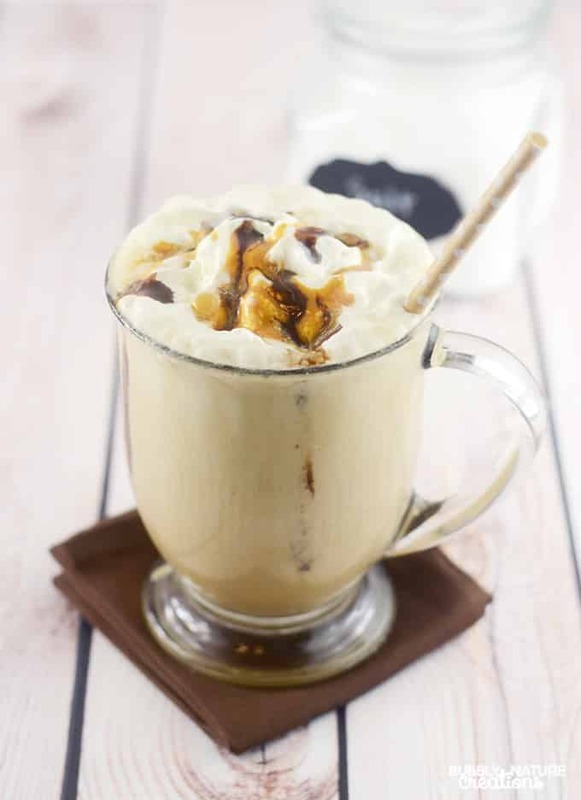 Place all ingredients into a blender and blend until smooth and frothy. Enjoy! 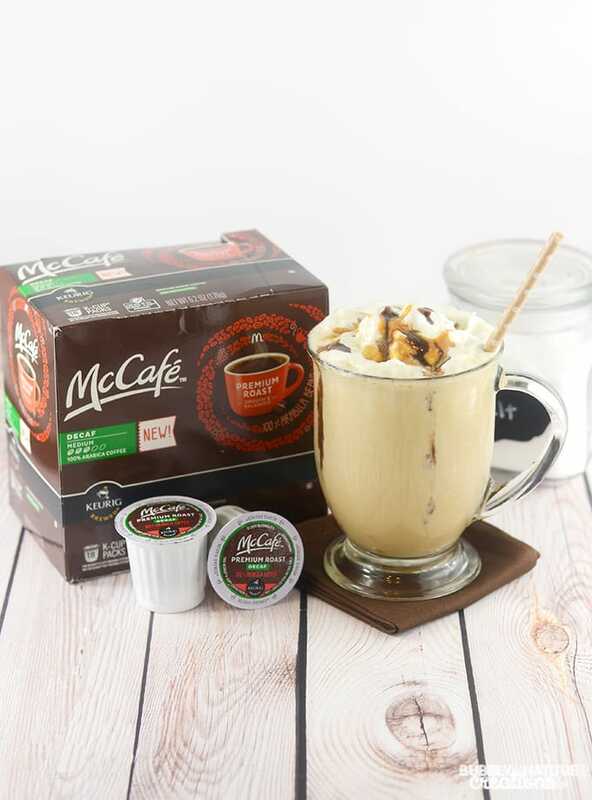 Have you tried theMcCafé premium coffee yet? Be sure to check them out at Walmart the next time you go! Previous Post: « Bunny Punch with Bunny Tail Stirrers! This looks great. I need one now!